Cruz Montoya (Kuno Becker) is a rock star on the West Coast poetry circuit, where audiences from San Diego to Seattle gather to hear him perform. 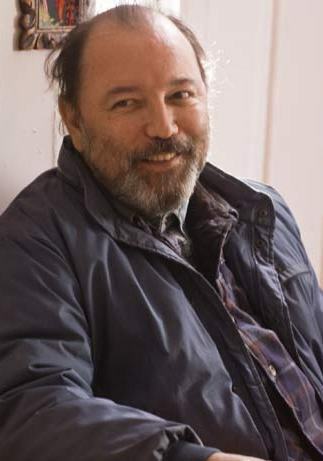 Just off the road from such a tour, he gets an unexpected phone call alerting him that his father, Senior (Rubén Blades), is fatally ill.
Cruz rushes home to his dying father, a reclusive former schoolteacher still leading a traditional life in their once bucolic mountain valley, now ravaged by poverty, drug abuse, and violence. Once home, Cruz retreats to his old life, managing a Santa Fe hip-hop club owned by local crime boss, Emilio (Miguel Sandoval), who Senior used to run with back in the day. Seduced by the fast action and easy money, Cruz loses his poetic voice, his identity, and almost his life, before he finds a way to heal his relationships with his family, his community, and himself. Spoken Word depicts the edgy collision of old and new worlds, and explores how families can move beyond words, both spoken and unspoken, to share the language of their hearts. 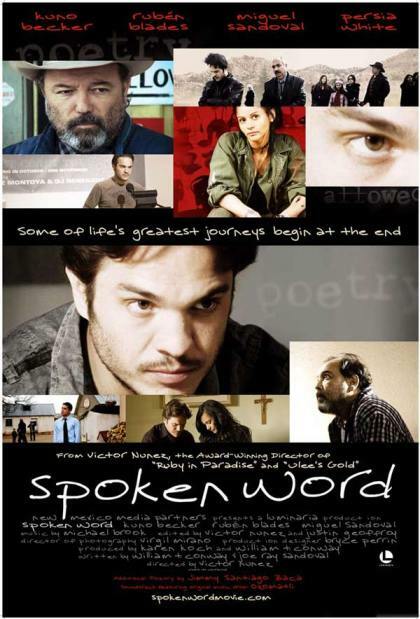 NEW YORK, June 22 /PRNewswire/ — Variance Films is proud to announce the acquisition of US theatrical rights for SPOKEN WORD, the latest feature from director Victor Nunez, featuring acclaimed actor, Ruben Blades. Variance, in conjunction with Santa Fe-based Luminaria, will release SPOKEN WORD in New York at Big Cinemas Manhattan on July 23rd, followed by runs in Los Angeles, Denver, Phoenix, Santa Fe, Albuquerque, Chicago, and additional cities to be added in the weeks following. Variance Films, www.variancefilms.com, is a privately held, full-service theatrical distribution company designed to bridge the gap between self-distribution and traditional theatrical distribution. Luminaria, LLC, www.luminariafilms.com, is a New Mexico based film and television production company, and acts as the production arm of New Mexico Media Partners.